You'll be £19.99 closer to your next £10.00 credit when you purchase Helmand mission. What's this? After celebrating St Patrick's Day 2008, 1st Royal Irish Battlegroup deployed to Afghanistan's Helmand province as part of 16 Air Assault Brigade. For six months the Royal Irish fought the Taliban in Helmand in some of the most difficult country on earth. At the same time the Battlegroup was training the nascent Afghan National Army (ANA) and many of its engagements were alongside Afghan soldiers. Well trained and with an operational maturity gained from deployments in every year but one since 1998, they were considered the unit in 16 Air Assault Brigade best suited to the critical task of mentoring the ANA. One company deployed with 2 PARA Battlegroup in the Sangin valley. Its soldiers saw intense action against the Taliban, especially through the latter's use of IED's (Improvised Explosive Devices). Another company was given the task of ensuring the safe passage of an additional generator for the Kajaki dam and was involved in heavy fighting while so doing. TA soldiers from 2 R Irish formed Imjin Company which provided security but also deployed on wider tasks. Professionalism, high levels of trust and the unique humour of Irish soldiers ensured that they had a successful tour and accomplished their missions. This is the stirring story of a regimental family at war and of those who sustained them, including their remarkable chaplain, Padre Albert Jackson, and the rear party which supported the families, especially those whose fathers or sons suffered injury or death. Above all, it is the story of a highly professional unit demonstrating its skills to the world and helping make Afghanistan a better place for its people. As seen in the Belfast Telegraph. The 1st Battalion The Royal Irish Regiment forms part of 16 Air Assault Brigade and deployed to Afghanistan for the second time in the spring of 2008. This book not only covers the fighting which took place on the Battalion's tour but the individual stories of some of its members. An excellent read and one which remembers those who kept the home fires burning too. 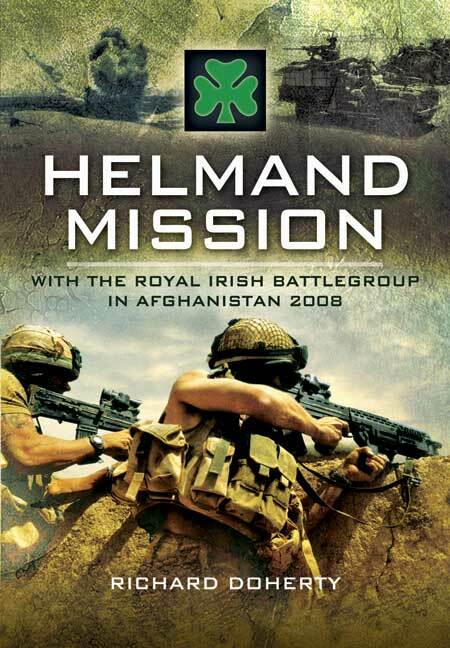 In this passionate account of the actions of The Royal Irish Battlegroup during their 2008 tour of Helmand, Doherty writes in remarkable detail of the heroism and initiative of the Irish soldier. It is an excellent account of one battalion's six month deployment to "the heart of Asia".